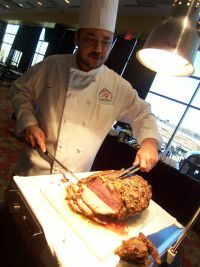 Our 250-seat restaurant, The Winner’s Circle Restaurant and Lounge, features an array of classic American and Asian menu selections. 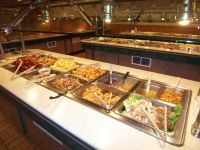 Try one of our mouth-watering entrees including great steaks, Asian Fusions, Fresh Pastas and more. 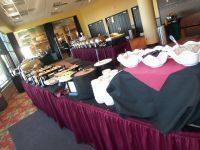 We feature Buffets on Thursday and Friday Nights, dinner specials and a Sunday Brunch throughout the year. Running Aces Harness Park is a 5/8 mile, state-of-the-art, purpose-built, harness racetrack with outstanding stall space and facilities that will be greatly appreciated by harness horsemen. 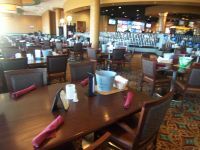 The card room features 50 tables, with 25 poker tables and 25 tables for casino games such as Blackjack, Pai Gow Poker, 4-card poker, 3-card poker and more! 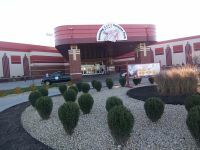 For photos and event info for the Casino and Horse track, Click Here.